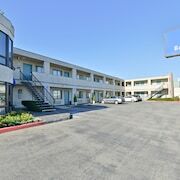 Located in Redwood City, Sequoia Inn is in the historical district and convenient to Woodside Central Shopping Center and Museum of San Carlos History. 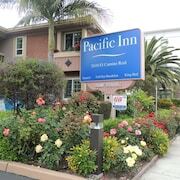 This motel is within close proximity of Hiller Aviation Museum and Peninsula Museum of Art. Make yourself at home in one of the 22 air-conditioned rooms featuring refrigerators and microwaves. Complimentary wireless Internet access keeps you connected, and cable programming is available for your entertainment. Private bathrooms with shower/tub combinations feature complimentary toiletries and hair dryers. Conveniences include safes and desks, as well as phones with free local calls.